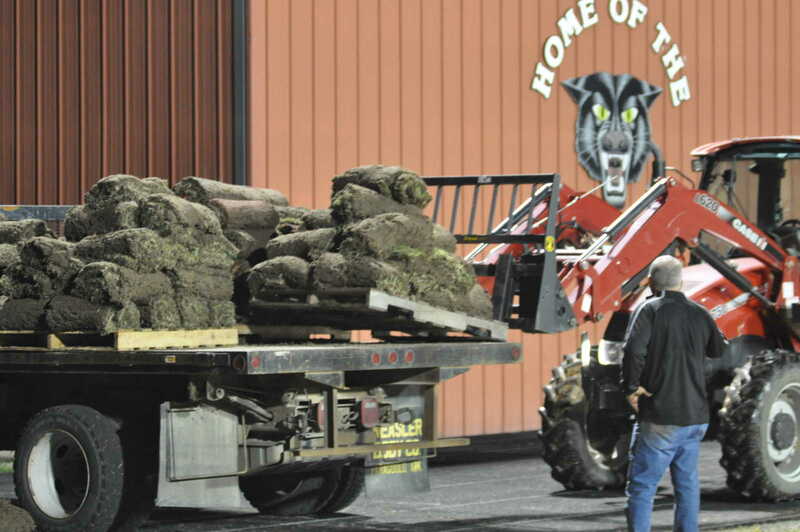 The sod on the football field at Charles Bland Stadium hasn't seen its last days. 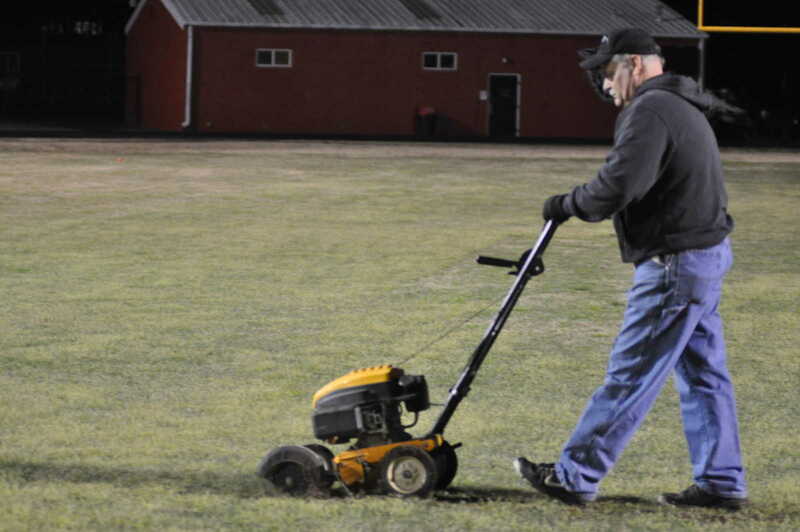 It is being put to good use at the Grant Street baseball fields and various other locations to re-sod and improve the area. 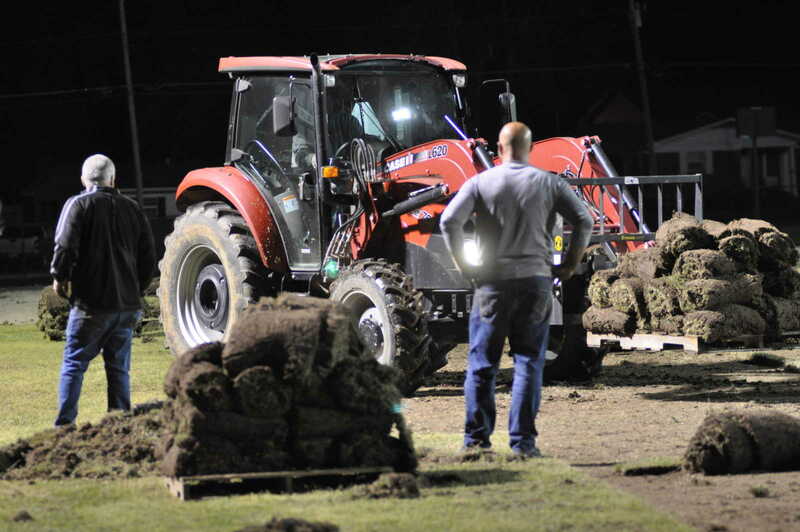 Friday night under the lights the sod was being cut, rolled and loaded on pallets. 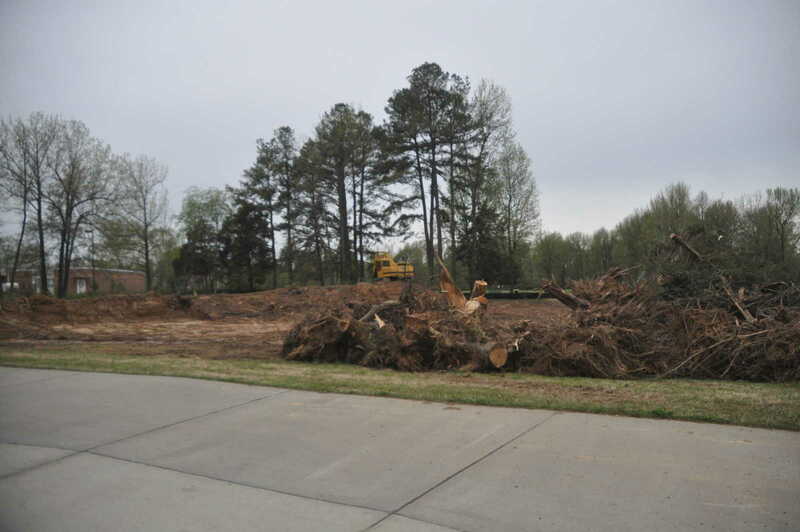 It was then hauled away to where it was needed. 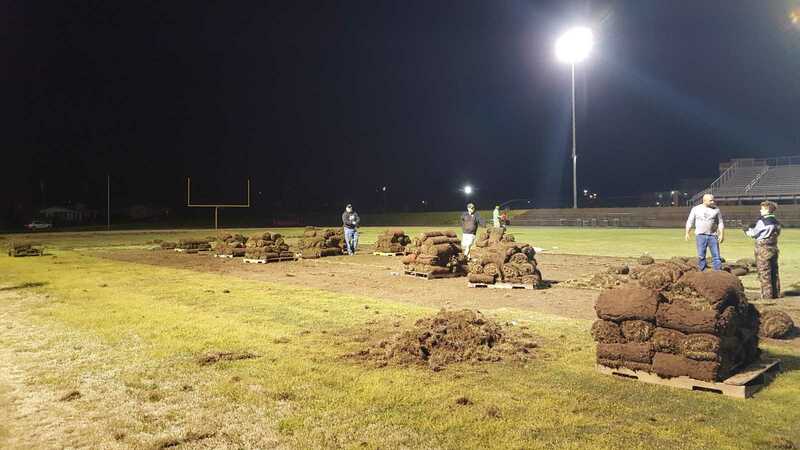 The sod will be replaced with synthetic turf. The lower bleachers have been removed at the stadium and work has begun outside Central Elementary in preparation for construction crews arriving next week. Dexter school staff members Gavin Miller, Josh Dowdy, Amber Duley and James Sneed were joined by Randy Potts, Ryan Duley, Allen Malloy and Greg Tarbutton Friday evening. This work is part of the Dexter School Bond passed by voters in last weeks municipal election. Randy Potts is shown cutting the sod at Charles Bland Stadium. 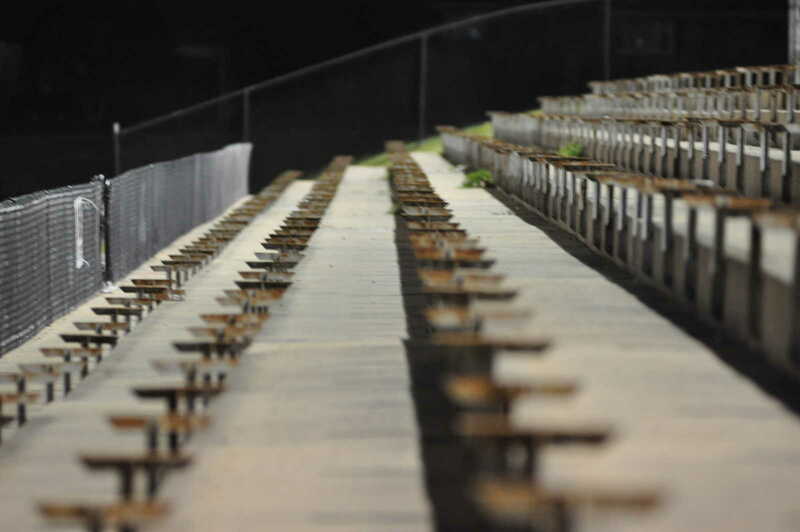 The empty brackets that once held the lower bleachers at Charles Bland Stadium. 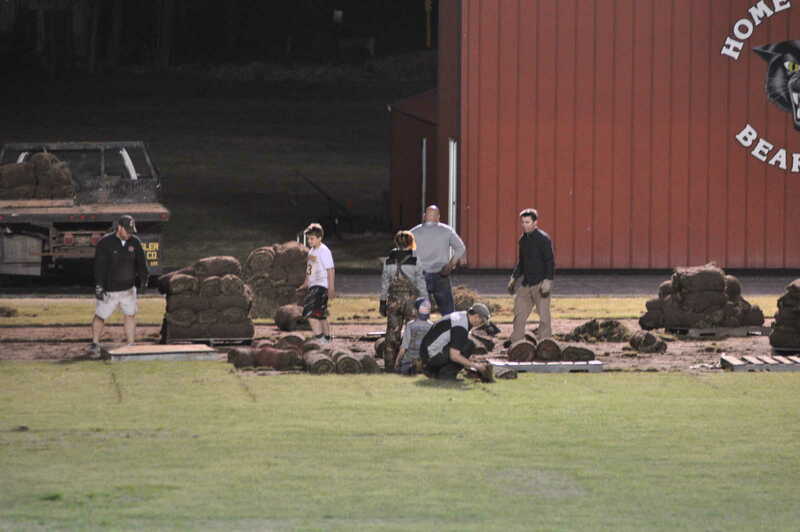 A pallet of sod is picked up as Gavin Miller (right) and James Sneed look on. 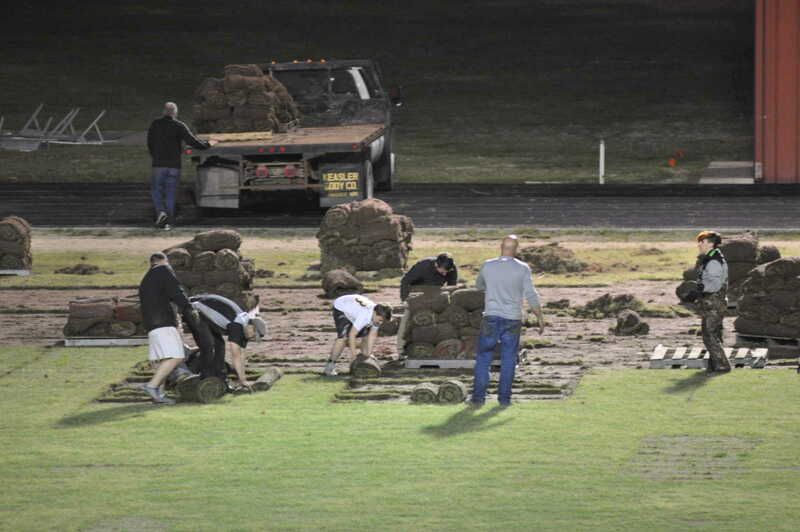 James Sneed directs a pallet of sod being loaded on a flat bed truck. The work outside Central Elementary.